Las entradas las podéis comprar en ticketea , 2 días + masterclass 50€ . March 11, 2011 at 10:20. Permalink. March 11, 2011 at 10:23. Permalink. March 11, 2011 at 10:25. Permalink. March 12, 2011 at 7:09. Permalink. 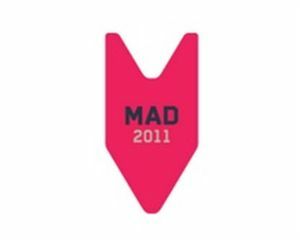 bookmarked your web-site: https://fanychachi.com/2011/03/11/mad-2011/ and will be visiting often. July 12, 2013 at 10:05. Permalink. so many various angles. Its like men and women aren’t fascinated until it’s something to accomplish with Girl gaga! August 7, 2013 at 14:11. Permalink. December 6, 2013 at 11:18. Permalink. Inspiring tory there. What happened after? Good luck! September 8, 2014 at 12:12. Permalink. October 9, 2014 at 2:38. Permalink.